The pinnacle of contemporary Chicago real estate lies just north of Millennium Park at Lakeshore East. 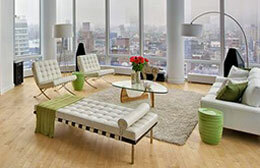 This development's elegant residential buildings have garnered their designers a multitude of prestigious awards. Towering high over the lake and the Loop, the beautiful skyscrapers and real estate within the Lakeshore East boundaries house both luxury condominiums and apartments. Many of Lakeshore East's buildings are among the tallest in Chicago and even the tallest in the United States. They surround the tranquil Lakeshore East Park, which is currently the only park in Chicago to feature free wireless internet. Lakeshore East's Village Market provides residents of this luxury development with easy access to on-site grocery, restaurants and shops. But with the Loop and Streeterville blocks away, one never needs to walk far to reach the city's best establishments and attractions. Millennium Park, the Magnificent Mile, Water Tower Place and Navy Pier all lie within walking distance of Lakeshore East's premier residences. This kind of lakefront living is simply unsurpassed. For more information on Lakeshore East real estate, contact our downtown Chicago real estate experts at Gold Coast Realty today! Thinking of Selling Your Lakeshore East Home or Condo? If you're looking to sell your Lakeshore East home or condo in today's ultra-competitive market, contact Gold Coast Realty to learn more about how we can get your property sold fast, and for the price you need! Already have a good idea of what you're looking for in Chicago’s master-planned Lakeshore East neighborhood? Narrow down your options and only browse exactly what it is you want! And if you don't see what you're looking for below, let us know and we'll set you up on a custom search that sends MLS listings that meet your search criteria straight to your inbox. As alluded to above, Lakeshore East is home to a number of Chicago’s most impressive residential high-rises, including the unique and unmistakable Aqua, which features large wavy balconies that are designed to look like moving water high in the sky. Other highly sought after condo buildings in Lakeshore East include The Regatta, The Chandler, The Lancaster, and of course 340 on the Park—which happens to be one of our favorites. WANT TO SEARCH MORE LAKE SHORE EAST CONDO BUILDINGS? Although you’d never be able to tell now, it wasn’t that long ago that the Lakeshore East neighborhood in downtown Chicago was little more than just an old rail yard that happened to be occupying some of the most prime real estate in the entire city. Today however, Lakeshore East is of course home to some of Chicago’s most impressive architecture, not to mention many of the Windy City’s most lavish and luxurious condominium residences with top-of-the line interiors and incredible views to match. Located immediately north of Grant and Millennium Parks, Lakeshore East occupies a small area that’s bounded by Randolph Street to the south, E. Lower Wacker Drive to the north, Michigan Avenue to the west, and Lake Shore Drive to the east. 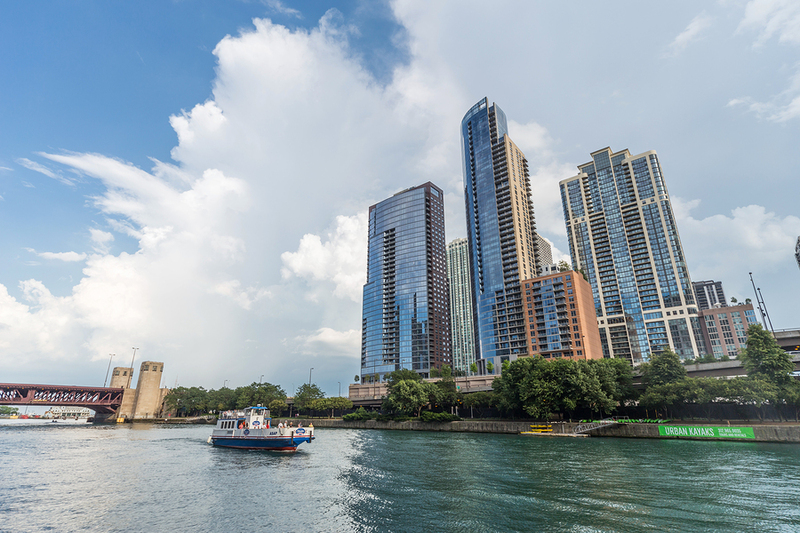 And although Lake Shore East is one of downtown Chicago’s smaller neighborhoods by area, its relatively high concentration of condos presents plenty of opportunities for today’s home buyers to consider. Along with fabulous living spaces, the 6-acre Lakeshore East Park acts as the neighborhood centerpiece, not only giving the area some lush green surroundings, but also providing residents with an awesome outdoor amenity that includes walking paths, fabulous landscaping, and even a dog park for all you pet owners out there. 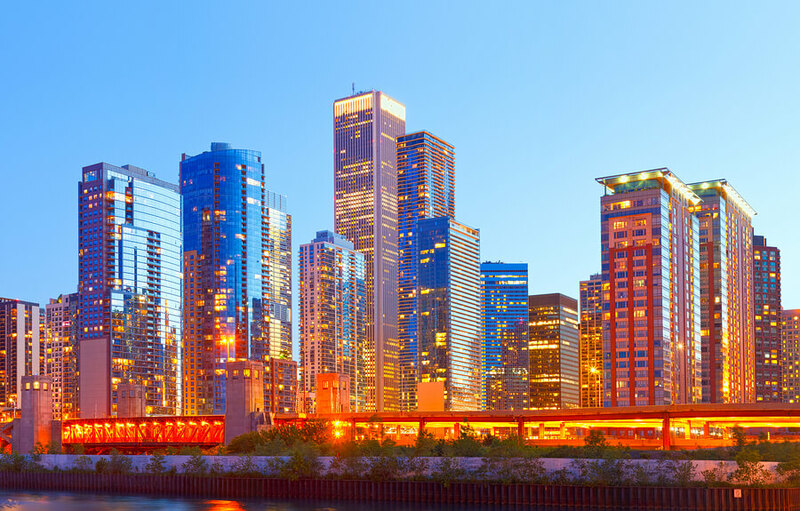 Living within walking distance to Chicago’s theatre district, the business and financial district, and several of the city’s best outdoor parks and attractions like Millennium Park, Grant Park, and even Navy Pier certainly has its advantages. But above all, what makes real estate for sale in Lakeshore East truly special are all lifestyle amenities, tremendous views, and spectacular living spaces that nearly every building in the neighborhood has to offer. And when you can check off all three of those items right off the bat, what could be better? For more information about Lakeshore East condos for sale or other Lakeshore East real estate, contact Gold Coast Realty at (312) 280-9600 today and schedule a showing for an available home you’d like to see in person!